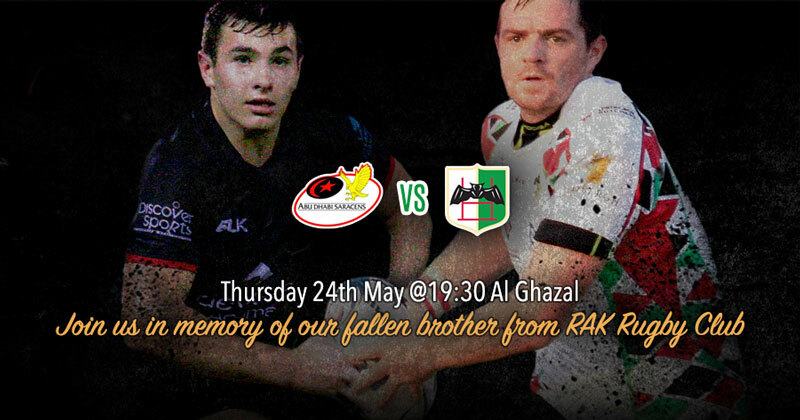 Local rugby club giants of Abu Dhabi, Saracens and Harlequins, have put rivalry aside to honour the memory of RAK Rugby club player Nick Young who tragically died earlier this month in a 10s tournament in Sharjah. Young, passed away in hospital on Sunday, April 29, two days after being hurt while playing for RAK’s vets side at the famous tournament hosted by Sharjah Wanderers. Simon Williams, RAK Chairman announced the news of Nick’s passing on their website and social media on the Sunday evening. To show the close bond within the UAE rugby community, both Abu Dhabi clubs will play a friendly game under the flood lights on Thursday, May 24th at Al Ghazal ground, home ground to Saracens. The game between Saracens Social XV and Harlequins Social XV will be kicking off at 19:30 and is free for all to attend. 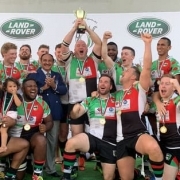 The initiative came from Richard Croft, a man who has been around the local rugby scene for many years and with links to both Abu Dhabi clubs, having joined Saracens from neighbours Harlequins earlier this year. Richard has drawn on his contacts to best represent the Abu Dhabi rugby community in both social teams. 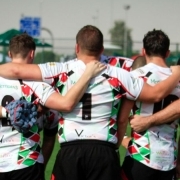 Besides being competitive and friendly rivals, Saracens and Harlequins stand together for this fun and social game in honour of Nick and RAK Rugby Club. “Without knowing Nick I’m sure this is what he too would have stood for as a player.” Added Croft. 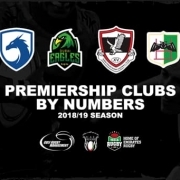 Both clubs hope to honour that and extends an invitation to all rugby supporters in the region to experience Saracens and Harlequins combined hospitality at Al Ghazal for the game. All money raised will go to Nick Youngs family. Please show your support for local rugby and join us for this charity evening.